Don&apos;t miss out on this spacious home that is walking distance to the Chief Ladiga trail. 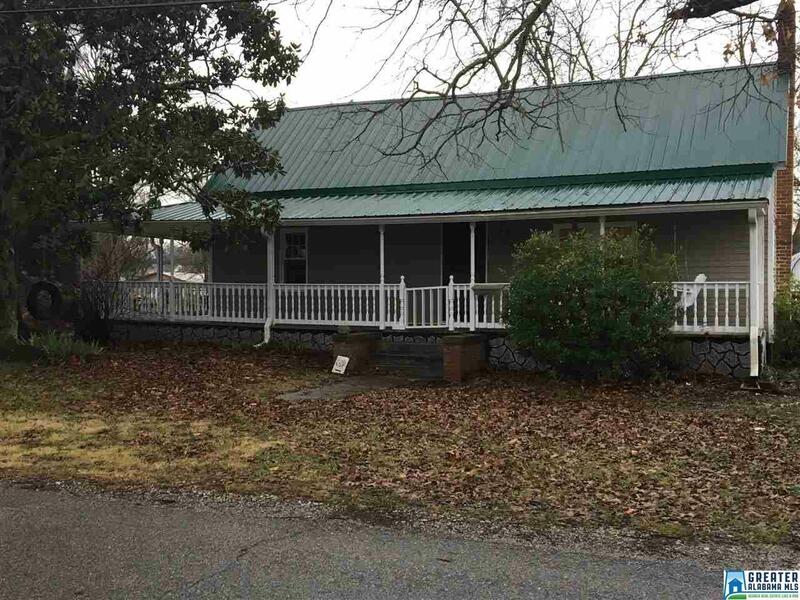 This home features 3 bedrooms and 1 full bath with a beautiful wrap around porch. No Carpet! Hardwood and vinyl floors throughout. Large kitchen with breakfast bar! There is a tankless water heater which is great for the jetted tub and separate shower in the bathroom. This home has 2 fireplaces with gas logs! Outside is a fenced in back yard and 25x40 building! This building has 5 rooms downstairs and a loft upstairs, it also has electricity. There is also a storage builiding with roll up doors, This house is priced at only $79,900! Driving Directions: From Hwy 21 Turn Right Onto Memorial Drive~turn Right Onto Center Ave~turn Left On Williams St~ House Is On The Left.